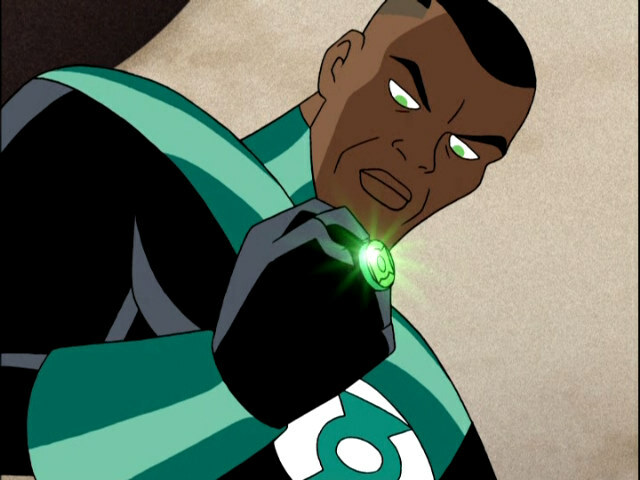 Reflections of a Grady Doctor: The Green Lantern. Does anybody have the manual that came with their children? I'm just saying. . . if you do, can I please borrow it for . . .I don't know. . .the next eighteen years? I promise. . . 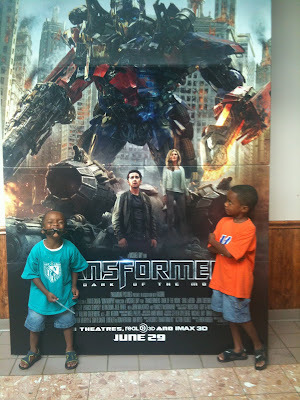 I don't make this stuff up. . . .
Isaiah: The legs broke on my Jake Justice and I really, really liked my Jake Justice. Me: You'll have to be kinder to your toys in the future, bud. Isaiah: Would you be able to get me another Jake Justice? We had him for a long, long time remember? Me: You've got plenty of toys to play with. Maybe we can see about you getting another one when Christmas comes around. Me: Oh, come on, Isaiah. Really? Me: Come on, son. This is not something to get this upset over. Besides, you have tons of toys and this is not the first time one has broken. Isaiah: (now whimpering/wailing) But this is different, Mom! He's the one that makes me not feel left out! Me: I don't understand what you mean, Isaiah. Isaiah: He has brown skin like me, Mommy. He's one of the only superhero guys with brown skin! Nobody has brown skin that's a superhero but him, Mom! 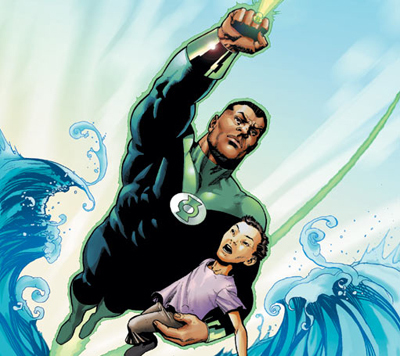 Isaiah: Mommy, not even Green Lantern. Remember? The Green Lantern in my bedtime book has brown skin but they changed him in the movie to have white skin. Isaiah: Why did they change him, Mom? What was wrong with him having brown skin? Me: Your skin is beautiful and so are you. Me: A long time ago when they first drew the Green Lantern in a comic book he had white skin. And then they changed him and he had brown skin. And then they changed him again for the movie and he had white skin again. But the whole time he was still tough and a superhero and helped people. No matter what color his skin was. Isaiah: But, Mom? Sometimes it makes me feel left out when none of the superheroes have brown skin like me. Not Superman, not Spiderman, not Batman, and not even Captain America. The only one was Green Lantern in my bedtime book. And my Jake Justice. But he's broke now. Isaiah: Bro-ken. And they changed the Green Lantern to not have brown skin anymore. Isaiah: And sometimes. . . .sometimes. . . that kind of hurts my feelings and makes it seem like it's better to not have brown skin. Like the Green Lantern. Me: (stammering) Uhh. . .so. . . do you think that? Like . . .think that it's better if you didn't have brown skin? Gripping steering wheel real, real tight. . . knuckles whiter than the new Green Lantern. . .
Isaiah: (thinking) No. . . . I like my skin. But that makes me feel like somebody else doesn't like it when they changed the Green Lantern like that. Like they liked him better if he didn't have brown skin. Mom? Dad? Can I get a consult here? Me: You know, Isaiah. 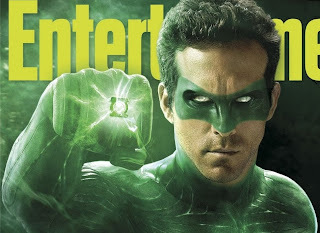 . . .I'm not sure why they changed the Green Lantern. Maybe it wasn't even that big a decision when they did. But you know. . . there are some people who don't like other people for nonsense reasons. Like for having brown skin or being too short or being too tall or speaking another language or liking who they like. Really dumb reasons. So you just have to love how God made you no matter what anybody else thinks, you know? And then you just have to keep it moving. Isaiah: What does 'keep it moving' mean, Mom? Me: It means you look in the mirror and know that the way you were born was exactly right. You give yourself a thumbs up and then go on back to doing what you were doing. Like playing or coloring or doing karate chops. You remember that you are wonderfully made and once you know that you keep it moving. Me: Hey Poops? You know what? Me: Those guys are all make believe, you know. Those superheroes. And you can make believe anything you want in your own imagination. In your imagination, superheroes can be any color you want. Even blue-skinned with green hair. Me: Oh, yeah. Blue with big blue muscles. Especially if they're make believe. But there are some real superheroes who do have brown skin just like you. In real life. Me: Obama? He's one of them. . .yeah. Isaiah: And my dad. . .and my Papa. . . and my Uncle Shannon in Iraq. Me: Yep, I've got one that you forgot. I looked in my rearview mirror at Isaiah. He was looking out of the window smiling. At what? I do not know. But the sight of it still made me smile too. . . .
That night, I logged onto Amazon and ordered him another Jake Justice. And it wasn't even Christmas. What a wonderful Mama you are and your children are a true reflection of that. Without a doubt, Isaiah too will oneday be someone's superhero! 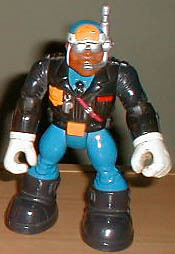 Awesome -- we have a Jake Justice lying upstairs in our attic with about fifty other Rescue Heroes. I want you to know that I had no idea what color Jake was/is and that this tiny conversation has taught me a lot. Thank you, once again. I'm glad you didn't wait and you don't need a manual, you're doing fine. Wow - I can't get over how metacognitive and expressive he is! Most kids can't express that sentiment even if they're feeling it. Wow! One of my friends in law school says her mom darkened the skin of EVERYTHING - backpacks, lunch boxes, books - everyone got a crayon or marker darkening them up. And she kinda giggled telling me that story but we both think her mom is all kinds of awesome. Even if I have white kids, I want to do that - or patronize more diverse options, like Jake Justice. Just an fyi, Marvel (comic book company) recently relaunched a bunch of their titles. The new spiderman (Miles Morales, who took over after Peter Parker was killed) is half-black, half-hispanic, and younger than the original. I know it's not really the main point of this post, but if he likes comic books it could help. What a smart son and a great communicator. My sons who are ages 15 and 13 loved rescue heroes and every year to this day my husband who is a nest freak suggests we sell the box filled with Rescue guys and their vehicles and I say no. (I have another son aged 10 but he didn't play with them--he went straight to Star Wars). Before I read the end of your post I was all ready to tell you we probably have one and would give it to you. I love how Jake Justice is a police office (a real super hero). 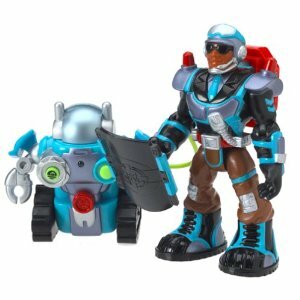 There are two other Rescue Hero guys with dark skin named Phil Canteen and Rocky Canyon. Oh Lawd. This one made me tear up a bit. Sometimes, I think Isaiah is more self-aware and expressive than the majority of adults I know. I miss the boys! Maybe we can schedule an Ant/Dr. M session at Panera when I get back and then we can hop on over to your house where I can hug and squeeze the boys! You don't need a manuel Mama, you're doing just fine. I won't try and tell you that I can even remotely relate to having a conversation with my kids about their skin color. I can only say that I have great hope that some day soon your sweet little guy will no longer have to have his feelings hurt. This post made me tear up, thanks for sharing a moment from the car. Now this one made me want to cry. It's crazy that in subtle and unintentional ways, we alienate people. When I was a girl I had a friend who really wanted a Chatty Cathy doll, but her mother would only let her have dolls that had brown skin. At that time there were so few that you had to order them from a doll maker and they were usually china dolls that had to be handled with care. Being a child at the time, I couldn't understand why it was so important. Thanks to Isaiah, now I do. He is beautiful just the way he is, and blessed to have a mother who will tell him so. And you are blessed with a remarkably intuitive child. you are all kinds of awesome. you don't need a manual. you're writing the manual for the rest of us. i love how you handled this, and what an expressive little guy your isaiah is! and that, too, is what you taught him. this makes me weep for the kids who internalize this feeling without being able to give it words, without having someone like isaiah's amazing mother to talk them through to a new understanding, to show them their superhero-ness. but it also makes me cheer, because there is you. thank god, there is you. This post reminded me of when my daughter was a little girl and she wanted to buy her friends dolls as gifts. I'd ALWAYS buy two, one Black one and one of another race and yeah, I WAS trying to make a subliminal point! ALL races are beautiful! The only sad aspect of this post is that as a very young child, Isaiah like my daughter was at that age, is already aware of "color". Gosh, I just wish we as Black folks and as a society could just get over this "color" thing we have! He looks at me and shakes his little head and says,"It's okay, mommy. Everybody needs somebody to love." And I was floored. We do love our babies, don't we? Auntie was 5 seconds away from figuring out who Jake Justice is & how to order Isaiah another action figure! LOL! Glad I read the whole post! I think YOU could write the manual. You handled that conversation beautifully! Wow - amazing. Just one thing I'd add to the conversation - women can be super heroes, too. In the list you and Isaiah made all the heroes were men. I'd add you to that list for sure! This is sooo Isaiah!! He is such a special child!! By the way, you are writing a great manuel and I am already using it!! All -- thanks so much for your insights and comments! It's so funny. . . five minutes later he was on to something else. Libby--you are so right. There are totally women super heroes. Shame on me for not suggesting that first. Wow. What a powerful conversation. You did a great job, Dr. Mom.